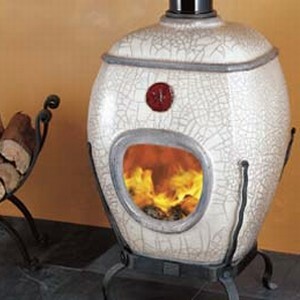 An Earthfire ceramic fireplace enriches the style of your home, which combined with its potent efficiency, makes it a beautiful alternative to the more common metal fireplaces. Made from tried and tested specially formulated clay, it won’t crack or lose its appeal, nor will it rust, smoke or smell. 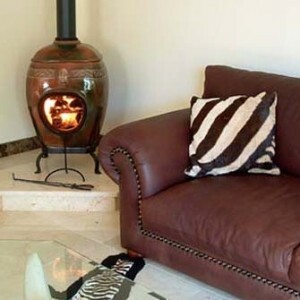 The main advantage over metal fireplaces, however, is its phenomenal ability to heat and radiate into the room long after the fire has burned low. 19 Years of production has inspired a dedicated following of satisfied customers who are delighted with the function as well as the total ease of ownership – the only maintenance required is to brush out the fine ash once a month. The success of these trend setting heaters has spread from South Africa to appeal to discerning home owners in the USA, Germany, Australia and the UK. 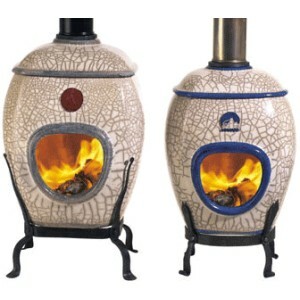 The firepots are available in two sizes and six decoration options: Plain (no decoration), White, Blue, Green and Black Raku, Deep Red African Earth and Cappucino.